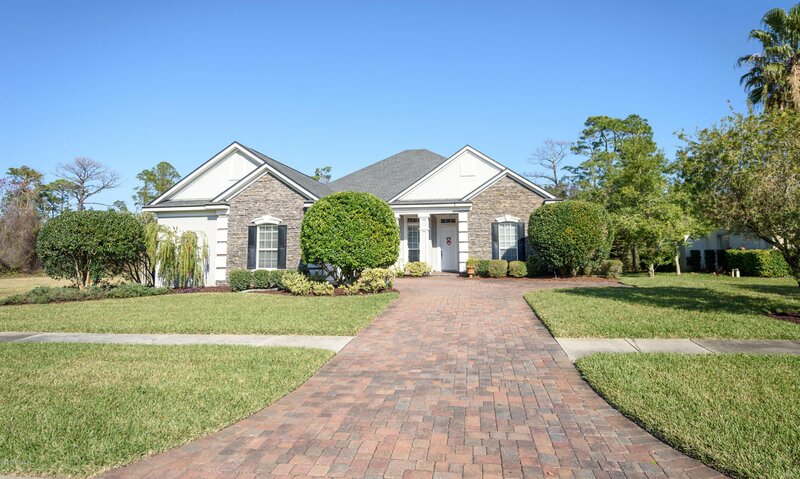 Upscale landscaping ushers you into this former model home in Tuscany Ridge community. Once inside the foyer you are greeted by towering ceilings, custom molding, hardwood floors, and magnificent views of the preserves. Downstairs lies the master suite, family room, living room, kitchen, dining room, and Jack and Jill bedrooms. An upstairs bonus room with beautiful built ins may function as a non-conforming 5th bedroom. Furthermore there is a guest bedroom, bath, and skylights on the second floor. Outdoors find a large screened in porch anchored by a beautiful pool and outdoor grilling station.